Code 128 includes 107 symbols: 103 data symbols, 3 startcodes, and 1 stop code. 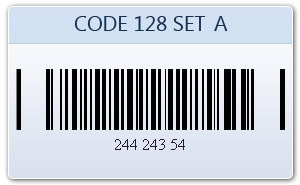 To represent all 128 ASCII values, there are three code sets (A, B, C), which can be mixed within a singlebarcode (by using codes 98 and 99 in code sets A and B, 100 in code sets A and C and 101 in code sets B and C to switch between them)128A (Code Set A) - ASCII characters 00 to 95 (0-9, A-Z and control codes), special characters, and FNC-14. 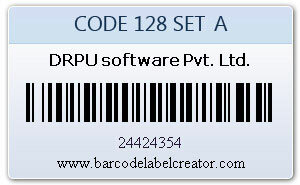 Our Barcode label designer program generate Code 128A barcode labels and tags using linear bar codes fonts. 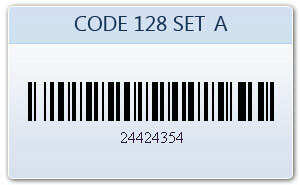 Bar coding systems can design bulk numbers of 1D barcodes instantly whenever require.